“Wouldn’t it be fun to try making our own?”, was probably said for the first time while we sipped wine in a tasting room. An intriguing idea, soon forgotten. But it resurfaced, again and again. Talk centered around what type of grapes we’d grow. We puzzled at why a wider variety of grapes were not grown in Missouri. 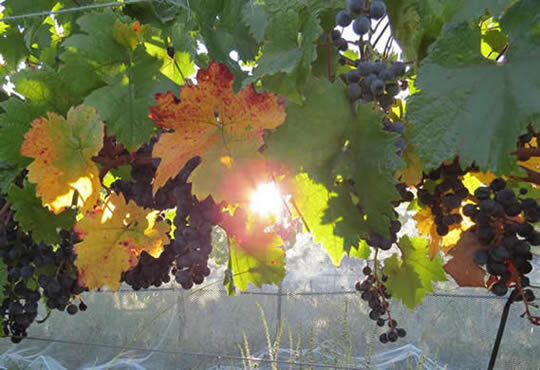 Since we enjoyed European wines, maybe we should try growing European grapes? In 2005 we planted a small “experimental” vineyard, while learning the basics of wine-making using boxed kits in our basement. Our son started college, with the goal of learning all he could about vineyard management and wine-making. Since we’d always gardened without herbicides or pesticides, we soon began researching organic weed control for vineyards. 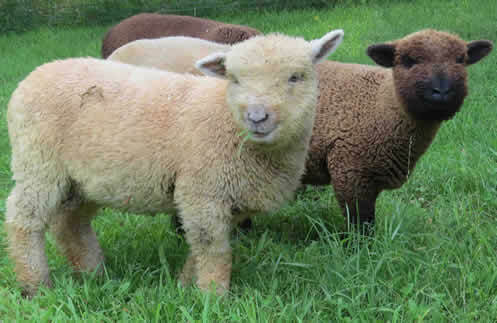 Stumbling on an obscure article about Babydoll Southdown sheep, began a whole new dimension to our adventure. At that time, there was only one vineyard using them, and they were quite rare! 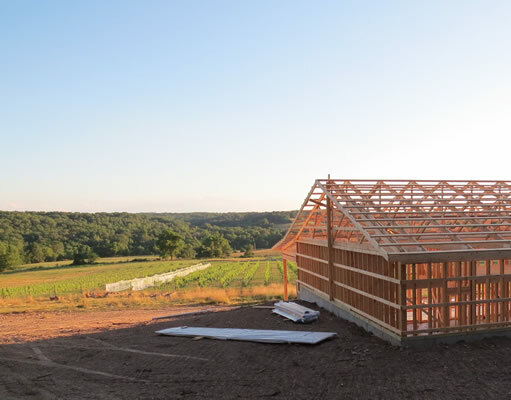 But learning about the little sheep inspired us to believe they could be the first step toward having a truly organic vineyard in Missouri. After a frustrating search, we finally located some for sale in another state, and brought home our first little flock. It didn’t take long for us to fall in love with our woolly little helpers. Although the vines were too immature for them yet, the sheep practiced their mowing and pruning skills everywhere we put them. 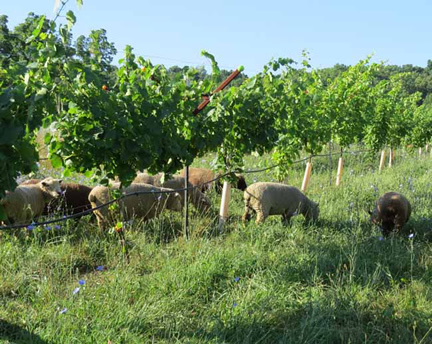 An organic vineyard, with weed-control by sheep, growing European varietals in Missouri. What a great idea! Right??? 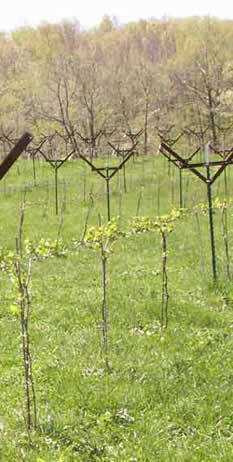 Our first setback was an April freeze in 2007 which dashed our hopes for grapes that year. But we pressed on with the project and planted 700 vines. In 2008, we were so excited because the vines in the experimental vineyard were finally mature enough to let the sheep graze there. It was full of lush vegetation, vines, grass and weeds. The delighted sheep went right to work and soon had it manicured. Even though grapes hung within their reach, they carefully nibbled the leaves and left the fruit. We were so pleased. All was wonderful and going as planned. The future looked bright. Then one day, all the grapes were suddenly GONE! They had ripened. We didn’t realize the moment it happened. But our woolly helpers wearing sheepy smiles did. The following year (2009), along with planting another 700 vines, we raised the cordon wire (that the grapes hang from), so it would be above the reach of the sheep. We also started watching them a lot closer. When “bud break” happened and the vines started putting out their new shoots, the sheep started enthusiastically consuming the delicacy. We quickly moved them out, averting disaster. 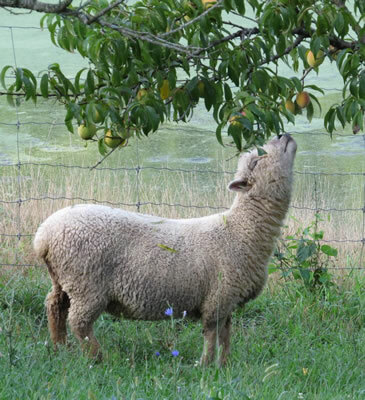 So now we’d realized that the sheep would destroy new plantings, so should only graze in established vineyards. 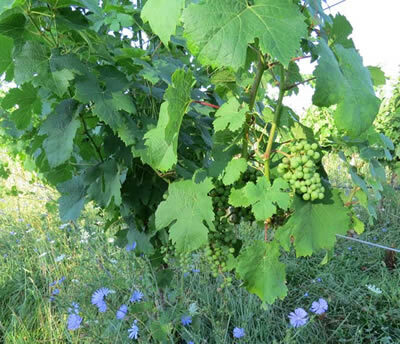 We also learned to move them out during bud break in the spring, and also late summer when veraison (ripening) happens. They also needed to leave for the “time to harvest interval” when any spray is used. This is different, and usually longer than the “re-entry interval”, but is important for their health since they consume the vegetation. The sprays we used were organic. In fact, we were thoroughly researching and using every organic product on the market to deal with various grape problems that arose. 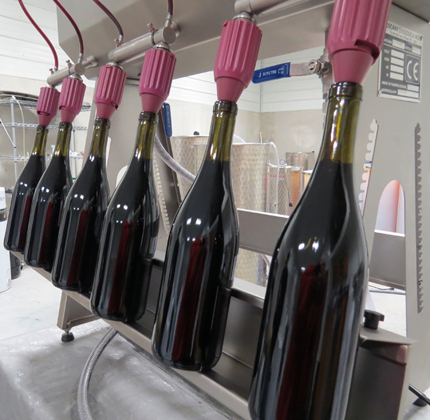 One commonly used ingredient in organic vineyard sprays is copper. We learned that copper will build up in the soil, and can eventually ruin it. Copper also builds up over time in sheep, so can be toxic to them. So that was the one organic method we didn’t consider. But we even tried some ideas that were rather “far out” there, like spraying with raw cow’s milk. We were determined! 2009 was also the year Japanese beetles moved into our area. Every day we hand picked them off the vines (dropping them into cups of soapy water), both morning and evening, trying to stay ahead of their destructive eating. 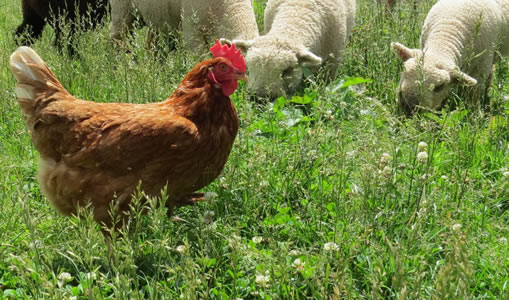 In 2010, we got 50 chickens to free range in the vineyard, hoping for their help with the Japanese beetles. It was humorous to walk down the vineyard rows shaking the vines and have chickens diving to consume them as they fell. But unless we helped shake the vines, the beetles remained safe far above their heads. So we spent another summer also hand picking beetles morning and evening. Then we had another surprise…when the grapes ripened, the chickens quickly learned to leap up, picking off the grapes! (Why wouldn’t they do that for beetles?) Since they free-ranged, there was no way to fence them out of the vineyard to keep them away from the grapes. So that was the end of our hope for chickens doing beetle control. We started out 2011 by optimistically planting another 860 vines in another vineyard (where we later put the winery). Also, our main vineyard was mature enough to move the sheep in to graze. That lessened our work considerably. But by this time, we were losing the battle with various vine problems. 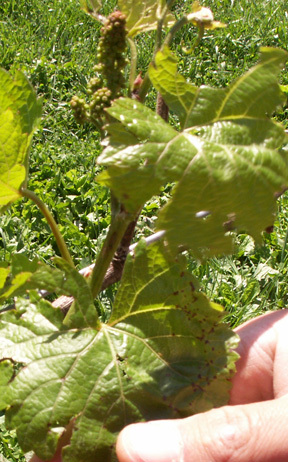 Grape anthracnose hit the flower clusters, so we lost our grapes that year before they could even get started. 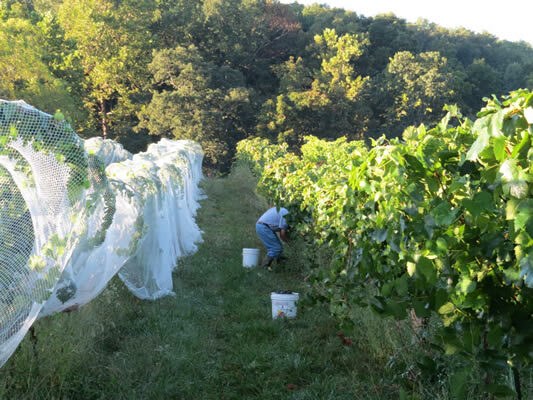 Then in the late summer, we almost lost the vines themselves to downy mildew. We were desperately spraying again and again with various organic sprays, fighting to keep the plants alive. So for four years, we did all the work necessary to bring in a grape harvest. For four years, we’d lost all our grapes. Something needed to change or we would be forced to give up. We finally realized that the dream we were chasing would always be elusive. Now we understood why Norton is the grape of Missouri. 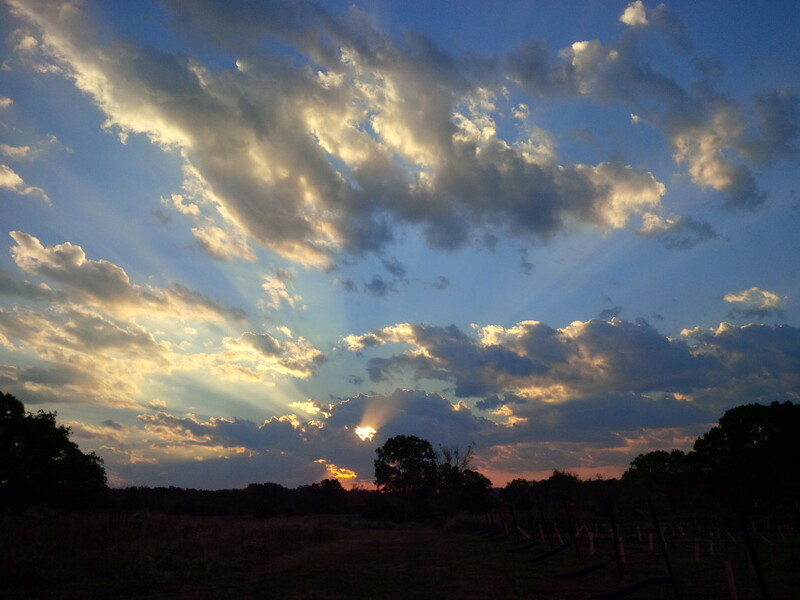 It is the only grape we’ve learned of that can thrive in our Missouri climate without help. So we had to make a hard decision. Should we convert over to only Norton grapes, so we could maintain an organic vineyard? Or should we continue experimenting with new varietals that are unique to Missouri, and occasionally use effective sprays? We decided to reach a compromise: keep experimenting with different grapes, use organic sprays as much as possible, but when absolutely necessary we’d use others. We wouldn’t spray on a schedule, but rather only when needed. Plus, we would continue to never use herbicides, since the sheep were doing their job so well. 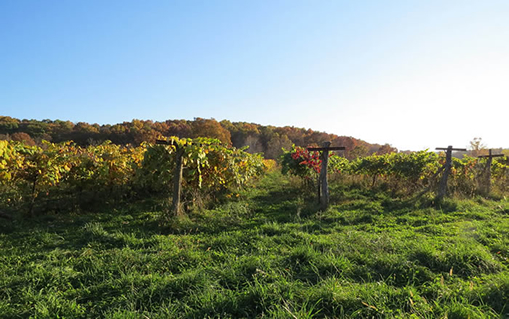 So we changed our plan to focus on having sustainable vineyards, continuing to live as lightly on this land as possible. 2012 started out with ANOTHER late frost, wiping out all the grapes. We turned our focus to saving the vines, spraying to get the various problems (anthracnose and funguses) under control. We also planted another 925 vines. Then we got a sweet surprise! The vines put out a secondary set of grapes. They weren’t as plentiful….but they were grapes. 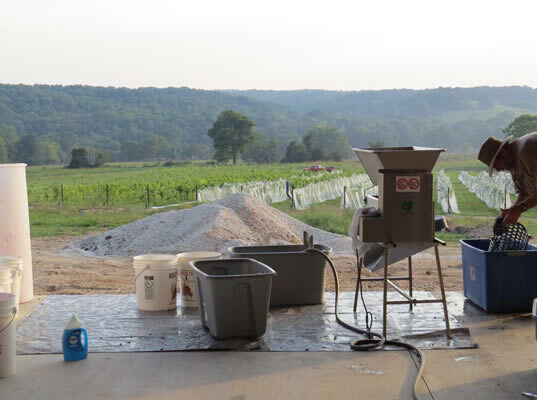 Although it probably sounds silly and trite, for us it was THRILLING to finally harvest and make 9 GALLONS OF WINE from our own grapes! Now that the vineyard problems had been brought under control, we were pleasantly surprised that in 2013 almost no spraying was necessary. 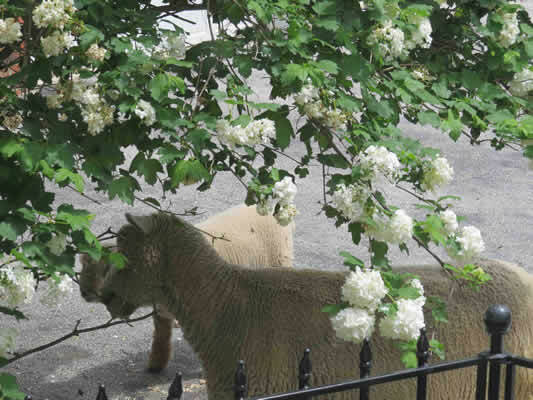 Of course, the little sheep kept doing their part, providing organic weed control, low vine pruning, and sweet companionship while we worked. 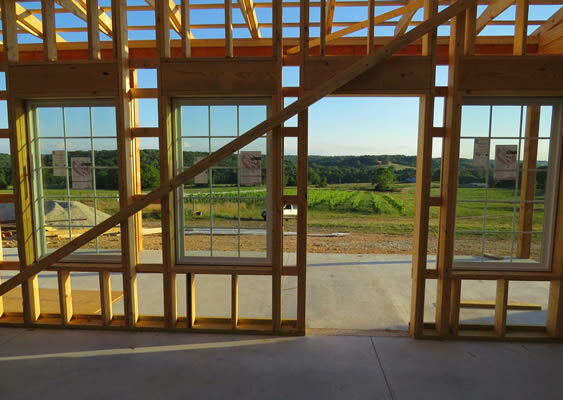 The winery building was started, wine processing equipment purchased, and governmental paperwork completed. We happily realized they would finally be needed. 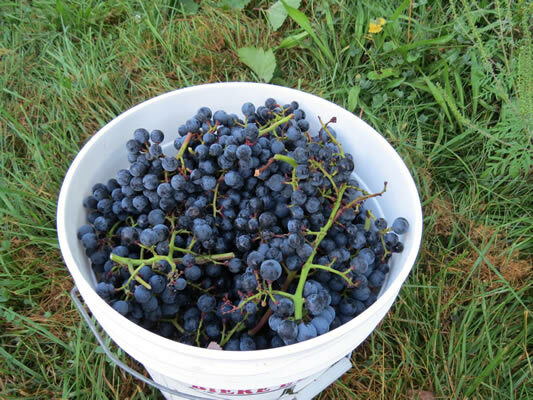 Later that summer, we harvested and processed our first true grape crop. 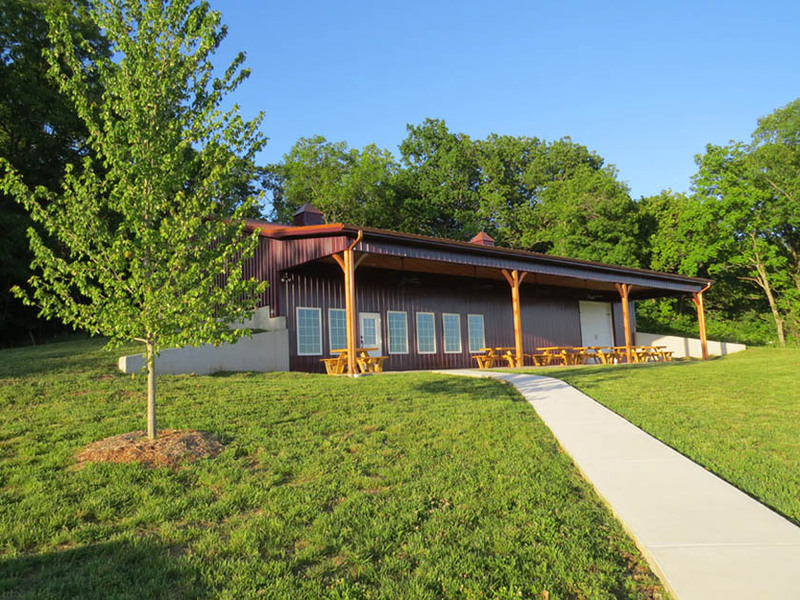 Lambs And Vines Winery was finally opened to the public on May 1, 2015, the tenth year anniversary of planting our first vines. 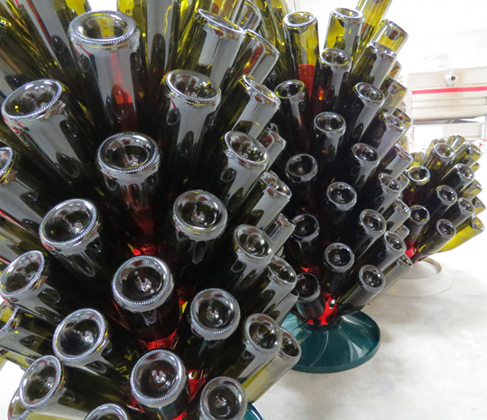 Our whole family is involved in some aspect of our winery project. The guys work the vineyards and make the wines. The gals manage the sheep and make products from their wool. Sometimes when more help is needed, like on shearing day or during harvest, we all pitch in. 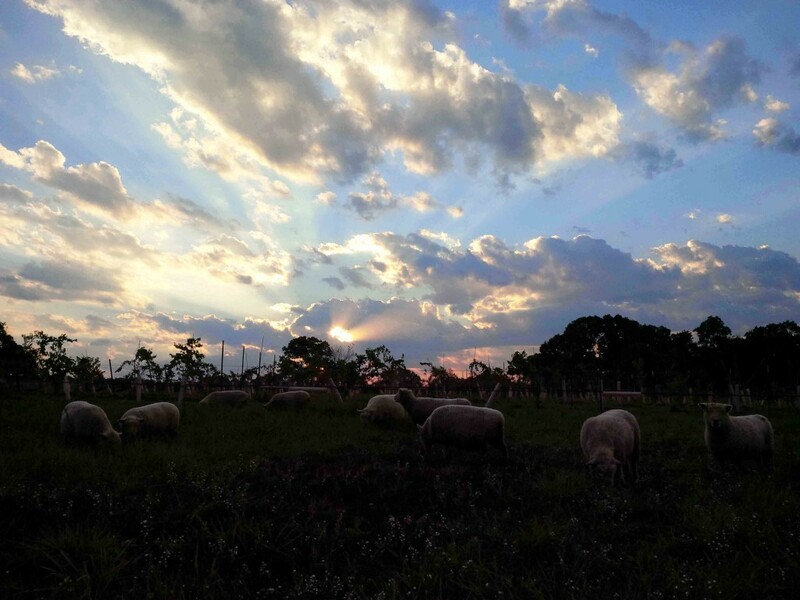 Like the sheep/vineyard relationship, we find it mutually beneficial. Yes, we do still have a dream. This is the part where YOU come in, and will hopefully share in our story. 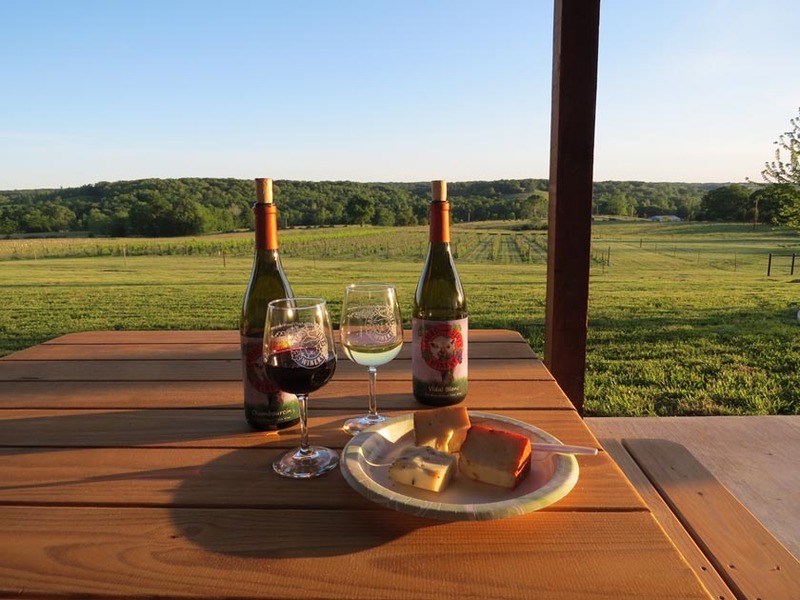 Welcome to our small family winery located about 30 miles east of Springfield, Missouri in the beautiful rolling hills of the Ozarks. We have cheeses, freshly baked bread, summer sausage, and chocolate available. Come enjoy a relaxing picnic with wine on our covered patio! Copyright © 2019 Lambs and Vines Winery. Powered by WordPress. Theme: Accelerate by ThemeGrill.